Thanks to the more relaxed attitude of the French to gelding (or not gelding) colts bred for the jumping sector, the influence of France’s many- times champion sire Cadoudal is still very much in evidence 40 years after his birth. 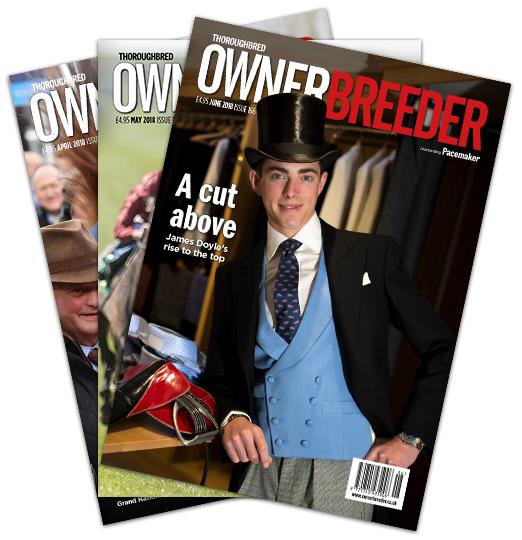 When two horses share the same sire, were successful in the same two Classics and were retired to the same stud, it is inevitable that they should become the subjects of a compare and contrast article such as this. The two horses, Galileo and High Chaparral, were born a year apart but the fact that High Chaparral was kept in training as a four-year-old, when he landed the Irish Champion Stakes and a second success in the Breeders’ Cup Turf, meant that Galileo enjoyed a two-year head start as a stallion. For the record, Timeform rated High Chaparral 115p at two, following his victory in the Racing Post Trophy, compared to the 107p allotted to the once-raced juvenile Galileo. After following in Galileo’s footsteps in winning the Derby and Irish Derby, High Chaparral was rated 130, 4lb below his predecessor, but his rating rose to 132 at four, so there was little difference between these sons of Sadler’s Wells. It is hard to believe now that neither of these young stallions was immune to the growing wariness with which breeders treat unproven stallions, part of the problem being that Sadler’s Wells had yet to establish himself as a really successful sire of sires. Also, both were in direct competition with Montjeu, another of Sadler’s Wells’s most accomplished sons. 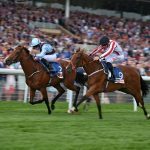 The consequence was that Galileo’s fee in his first five years went from €60,000 to €37,500, while High Chaparral’s dwindled from an initial €35,000 to only €10,000 in his sixth season in 2009. The situation became so bad for High Chaparral that National Hunt mares began to be accepted to him and he was visited in 2009 by Monte Solaro, a winner of a mares’ bumper at Sligo and a valuable handicap hurdle at Tralee. The outcome, of course, was Altior, who extended his wonderful winning sequence over jumps to 17 when he landed the Grade 1 Clarence House Chase at Ascot in January. The statistics show that High Chaparral wasn’t as outstanding a stallion as Galileo, but then who is? Fortunately, he rebounded from his slowish start to establish a highly creditable Average Earnings Index of 1.79 and equineline credits him with 125 black-type winners. At the time of his untimely death at the age of 15 in December 2014 he was standing at €30,000, so he was nearly back where he started. His northern hemisphere crops produced nine Group/ Grade 1 winners – every one of them male – and there may be a few more to come, as his final crop, foaled in 2015, includes the progressive Raymond Tusk, winner of the Group 2 Gran Premio del Jockey Club Italiano. One area in which High Chaparral managed to outshine Galileo was with his southern hemisphere crops. In five visits to Australia between 2002 and 2006, Galileo was credited with 565 live foals. Only three of them were to become Group 1 winners in Australia and two of them took their time in doing so, with Linton finally hitting the target as a six-year-old and Niwot at seven in the 2012 Sydney Cup. Another two – the fillies Igugu and Mahbooba – became Group 1 winners in the quieter waters of South Africa. 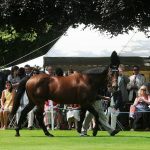 Linton and Niwot were gelded and Galileo’s third Group 1-winning Australasian son, Souza, was sent to the UAE, so Galileo will be heavily dependent on his Australian broodmare daughters and his imported sons, such as Adelaide and the shuttlers Churchill and Highland Reel, if he is to extend his influence in Australia. The occasional shuttler Teofilo has two Group 1-winning Australasian-bred stallion sons, in Kermadec and Palentino. High Chaparral, on the other hand, did so well during his visits to New Zealand and Australia that his fee rose as high as AUS$99,000 in 2011, having attracted no fewer than 235 mares during his 2010 visit. In addition to enjoying Group 1 Australian success with his European- bred sons Contributer and Rekindling (2017 Melbourne Cup), High Chaparral sired more than 40 Group winners from his Australasian crops, including an impressive total of 13 Group 1 winners (six of them fillies). So why did High Chaparral prove to be more at home in the southern hemisphere than Galileo? It could be argued that High Chaparral was the more precocious of the two, as he went very close to winning all three of his juvenile starts and made his debut a month earlier than Galileo. High Chaparral’s progeny also have a slightly lower average winning distance – 10.6 furlongs as opposed to Galileo’s 11.2. I wondered whether High Chaparral and his stock were more at home on fast ground, as Timeform records that the ground was firm for each of High Chaparral’s three victories as a four-year-old, but they also have the ground as firm for Galileo’s Derby victory and good to firm for his King George success. Several of High Chaparral’s Australian Group 1 winners were outstanding, with So You Think, Dundeel and Shoot Out all securing at least five victories at the highest level. Shoot Out and Dundeel both numbered the AJC Australian Derby among their wins, while So You Think developed into an international star, good enough to win the Prince of Wales’s Stakes, the Eclipse Stakes and the Irish Champion Stakes. Dundeel (who raced as It’s A Dundeel in Australia) has been covering substantial books of mares at a comparatively modest fee of AUS$27,500 at Arrowfield Stud. His eldest progeny are three year olds of the 2018-19 season and they include Atyaab, winner of the Grade 1 Cape Derby in South Africa, and Irukandji, a Group 3 winner. So You Think and Dundeel will also receive back-up from some of High Chaparral’s northern-hemisphere sons. Toronado, winner of the Sussex Stakes and Queen Anne Stakes, has covered 580 mares in four seasons at Swettenham Stud, where his fee has been AUS$22,000. Then there’s Contributer, who put up a smart performance to win the Listed Wolferton Handicap at Royal Ascot in 2014 on his final appearance in Europe. Less than a year later he had become a Group 1 winner over a mile and a mile and a quarter for Godolphin in Australia. He is plying his trade at Mapperley Stud in New Zealand, a country where High Chaparral did very well. The good-looking Tivaci, winner of the Group 1 All Aged Stakes in Australia, and the former British-trained Redwood are other New Zealand-based sons. The Irish National Stud’s Free Eagle, winner of the Prince of Wales’s Stakes in 2015, has made three visits to Australia, but Australian breeders seem not to have warmed to him, despite the cheapness of his fee (AUS$16,500 in 2018), as his book has gone from 83 mares to 54 and then to 34. Free Eagle’s first Irish crop, comprising 87 two-year-olds of 2019, enjoyed some memorable moments at the 2018 yearling sales, with such prices as €400,000, 250,000gns, €200,000 and 150,000gns. The €400,000 colt has been named Al Qaasim by Shadwell. I hope he does well, as High Chaparral – unlike Galileo – isn’t strongly represented as a sire of sires in Europe. It is going to be interesting to see whether the former National Stud resident Toronado builds on an encouraging start which saw him represented by 24 two-year-old winners in 2018. As one of the elder statesmen of the French breeding industry, it is easy to think of the 24-year-old Muhtathir as a light of other days. After all, he is available to breeders at a fee of €5,500, roughly the same level at which he began his career in 2001. There was a time though, around 2009 and 2010, when this grandson of Diesis ranked among France’s highest-priced stallions. Unlikely though it seems, we may have seen a bit of history at Newcastle on January 17, when victory in the Betway Novice Stakes went to Dawn Delight by more than three lengths. As this four-year-old filly was to finish a modest third at Wolverhampton on her next start, there was nothing special about the Newcastle form. However, with Dawn Approach as her sire and a Teofilo mare as her dam, Dawn Delight has the distinction of being the first British winner inbred to the great Galileo (the inbreeding being 3 x 3). According to statistics from the New Zealand-based Arion Pedigrees, there are only 25 foals of racing age inbred within five generations to Galileo. At this very early stage, nine of the 25 have raced and three have won, another being the minor American winner Cape Laa Di Da, a filly by the Irish Derby winner Cape Blanco. She has a Galileo mare as her second dam, so is inbred 2 x 3. Then there’s the Indian-foaled Bradfield College, who was second in the Hyderabad Golconda Derby. A son of Teofilo, Bradfield College is out of a Galileo mare, so is inbred 2 x 2 to the ten-time champion sire. Of course none of these winners represents motivation for other breeders to experiment with close inbreeding to Galileo, but you can be sure it is going to become more widespread in the coming years. Galileo, after all, is a phenomenal stallion by another phenomenal stallion in Sadler’s Wells and his dam, the Arc-winning Urban Sea, has been one of the most influential broodmares of recent decades, with Sea The Stars among her many notable winners. We have already seen the Derby fall to Masar, a colt inbred 3 x 4 to Urban Sea. Add in the fact that the brilliant Enable is inbred 3 x 2 to Sadler’s Wells, with one leg coming via Galileo, and there are sure to be breeders prepared to try doubling up to Galileo, the main deterrent for commercial breeders being the chances of producing a stayer.